Amol Palekar was repeatedly interrupted while speaking at the National Gallery of Modern Art in Mumbai. Amol Palekar was not allowed to speak about a government decision at an event in NGMA Mumbai. 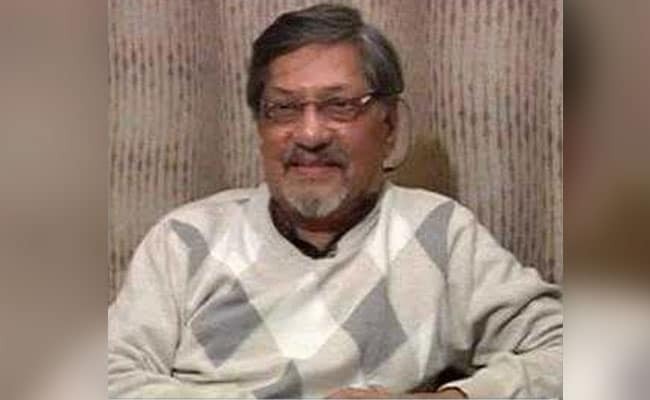 Veteran actor Amol Palekar, whose address at an event in Mumbai was unceremoniously censored after he tried to criticise a government decision, told NDTV that he would not have gone to the event had he known that he would not be allowed to speak about it. "When she invited me, if she were to tell me 'speak about this and not about this,' then I would have said 'thank you so much, I don't want to come'," he told NDTV. The celebrated Marathi filmmaker and actor was repeatedly interrupted while speaking at the National Gallery of Modern Art in Mumbai over the weekend. M. Palekar, who was invited to speak at the inauguration of an exhibition of the works of the artist Prabhakar Barwe, chose to also speak about the decision of the Ministry of Culture to scrap advisory committees at the National Gallery's centres in Mumbai and Bengaluru. While speaking, one of the organisers repeatedly tried to get Mr Palekar to stick to speaking about Prabhakar Barwe's art. "I felt terribly disturbed by this and I felt more disturbed by how they tried to stop me. Disturbing is a very mild term I am using. I was terribly disturbed," said Mr Palekar in an interview to NDTV. No one in the audience appeared to stand up for the filmmaker while he was being interrupted. "I did feel sad that not one of them [in the audience] stood up and said 'let Mr Palekar talk. Don't interrupt him.' That was the sad part of it," he said. Stung by the controversy, the National Gallery of Modern Art on Sunday denied Mr Palekar's charge that the advisory panel were scrapped. NGMA Director General Adwaita Gadanayak said, "The advisory committees of NGMA Mumbai, Bangaluru and Delhi have not been dissolved. Their terms have ended recently and they are in the process of being reconstituted."